If you’re one of the good people who suffered personal injuries in a crime incident in Coral Gables, call the Coral Gables crime victim compensation lawyers at the Wolfson Law Firm. We are here to help you get compensated for your damages due to the injuries. Contact us for free consultations and possibly representation at (305) 285-1115. Coral Gables is famous as the home of the University of Miami and infamous for its strict zoning regulations. It is one of the first planned communities in Florida. Coral Gables has been developed by George Merrick in early 20th century. Almost all the city’s architecture is in Mediterranean Revival style. It is a very nice area to spend time in, but crime offenses occur there as well. Make sure you call a lawyer even if you are injured in a different crime. This is not an exhaustive list, so suffering in a different event doesn’t mean that you are prohibited from obtaining compensation. According to Florida laws, there are several roads to damages recovery for personal injuries suffered in a criminal act in Coral Gables or any other place in the Sunshine State. You may claim damages against the criminal offender. But honestly, most criminals have the ability to pay anything towards the damages they cause to victims. Another avenue is to investigate if a third party or person is liable. Persons who control premises where they invite visitors may be liable for injuries sustained there. These persons would be store owners, restaurant owners, bar owners or apartment owners. They must take reasonable measure to prevent foreseeable crime accidents on their premises. Negligent security means they have breached the obligation, and if it leads to personal-injury-causing crime injury and damages, they may be liable. Another potential option for recovery is the Florida Bureau for Victim Compensation. 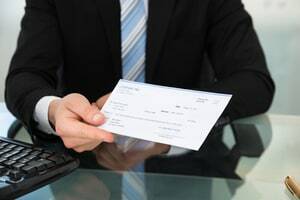 If you prove that your case qualifies for compensation by meeting the legal requirements, you may receive compensation for your economic damages such as medical bills and lost wages. Surviving family members of wrongful death victims may also have a specific path of potential recovery depending on the facts of your case. Speaking with a Coral Gables crime victim wrongful death attorney can help you determine if that path is open to you and your family. Damages recovery can be a challenging job, but the Miami crime victim compensation attorneys at the Wolfson Law Firm have the experience to help you with that. We’ve been doing this since the 1963. We have advised and represented countless clients who have recovered successfully. Call as on (305) 285-1115 for help. Our consultations are free. We don’t ask for fees unless we recover for you.